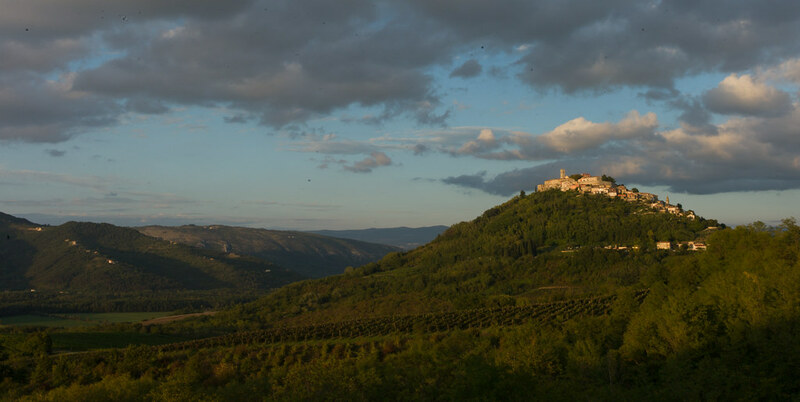 From the 30th of September to the 9th of October 2013, Sarah Neville, Florence Thomas, Nik Gaffney and Maja Kuzmanovic inhabit the Castello Parenzana, close to the legendary town of Motovun in Istria, Croatia. Matt and Miranda Thomas take part in the residency as well, remotely from the Adelaide Hills. 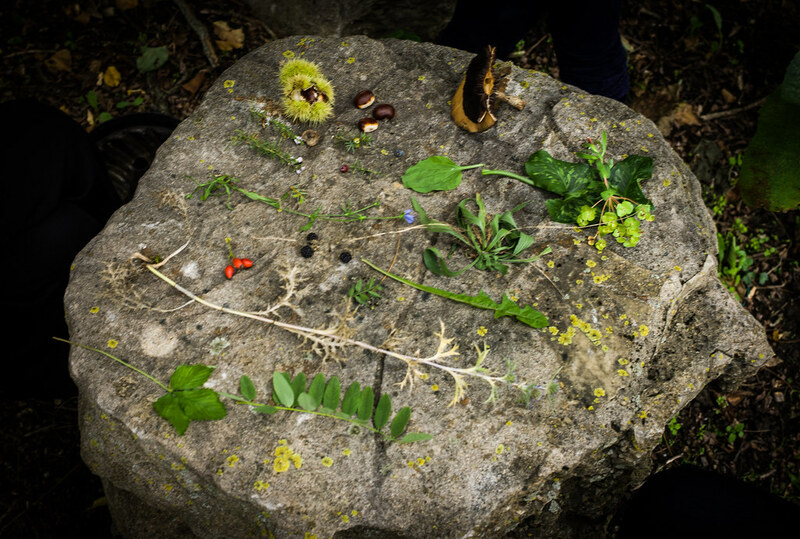 Although the landscape in Istrian and South Australian hills might share similarities of climate and topography, the flora and fauna, stories and cultures that grew from them are quite different. Inspired and informed by the landscape, the weather and the (hi)stories of both places, as well as our own experiences as inhabitants and migrants, we're looking into the relationships between storytelling and the environment, particularly when dealing with unpredictability, turbulence, 'uncontrollability', as well as full-blown natural disasters. With warm thanks to Dorina Vlakancic, for her support and welcoming this residency to Castello Parenzana; Danica Kuzmanovic, for sharing her social network with us, helping with planning and logistics, as well as a wonderful moral support; Goran Kuzmanovic and his friends for allowing us to borrow an all-terrain pram, much needed for a well-travelled baby in residence! Supported by the Flemish Authorities, the Culture 2007-2013 Framework of the European Commission and the Thomas family. Miranda: volcano is a rock with a hole in it, there is lava and you can die from it. How can stories be presented? What are people telling themselves? How can a story be dislocated and become something else? What stories are told to understand the weather: how do historical myths relate to contemporary ones, e.g. sci-fi movies about ecological disasters, where stories are only told when the weather becomes extreme… what happens to all the other stories about weather in daily life? Anthropologists had initially expected the aboriginal population of the Andaman Islands to be badly affected by the tsunami and even feared the already depopulated Onge tribe could have been wiped out. Many of the aboriginal tribes evacuated and suffered fewer casualties. Oral traditions developed from previous earthquakes helped the aboriginal tribes escape the tsunami. For example, the folklore of the Onges talks of “huge shaking of ground followed by high wall of water”. Almost all of the Onge people seemed to have survived the tsunami. Aphorisms include a heuristic approach to the world, they deal with probabilities rather than dogmas. What happens to age old sayings that might be less in tune with current climate chaos (when red sunsets don't only mean nice weather the next day, but could signal unexpected fires and other calamities). Do we need new annotations or re-interpretations of these texts to reflect our time? things we tell each other as short stories (“the sun has changed…”). Would asking people to talk about when the sun changed elicit personal stories across different cultures and communities linked by a shared experience with the weather? The moon and the weather may change together, But a change of the moon, will not change the weather. When the forest murmurs and the mountain roars, Then close your windows and shut your doors. If bees stay at home, rain will soon come, If they flay away, fine will be the day. Red sky at night, Shepard’s delight; Red sky in morning, Shepard take warning. When ants travel in a straight line, expect rain; when they scatter, expect fair weather. Who are the characters and what are they doing in contemporary weather lore? What is the shape of stories? stage photos as a starting point to encapsulate a saying; capturing moments as they are developing. write a story with the same starting point (the village, the house, one of the staged photos…) and incorporate themes and questions from discussions. e.g difference between a bird sensing EM field in contrast to the human responses “making stuff up to try to understand what happens”. (non)awareness of environmental changes: e.g. bushfire on an unusually hot day out of bushfire season in Adelaide Hills: seasons are more in flux, but people tend not to pay attention to signals from the environment. if the laws change to make an out-of-season fire instigation into criminal negligence - proof of acceptance of climate change. How do humans make meaning of events that happen to them? decay and half-life of aphorisms. persistence of relevance in proverbs. graveyard of false lore, forgotten aphorisms. Bruce Stirling: Design fiction is the deliberate use of diegetic prototypes to suspend disbelief about change. That’s the best definition we’ve come up with. The important word there is diegetic. It means you’re thinking very seriously about potential objects and services and trying to get people to concentrate on those rather than entire worlds or political trends or geopolitical strategies. It’s not a kind of fiction. It’s a kind of design. It tells worlds rather than stories. 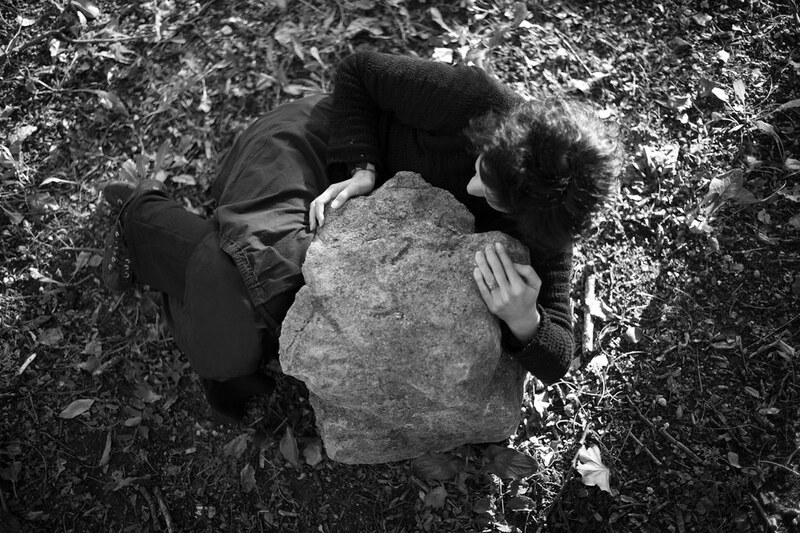 Tale of a child and the weathermakers at foam on Vimeo. parenzana weatherlore at foam on Vimeo. This could be abridged to assist with the communication of stories based on weather lore across diverse communities in Australia or else where. Meeting and networking with likeminded individuals and organisations from across Europe. Tim spoke about people resettling from one geographical place to another and still living by the weather lore of the first place. Hence a misunderstanding of the seasons/weather leading to dire consequences for the environment of the next place. For example the Noonga people in Western Australia considered their part of the world to have six seasons but when it was settled by the English they brought their idea of four seasons with them. Rasa gave direct feedback on the project as she had read about it in these notes. Firstly she found the focus of the project very vast in respect to potential outcomes. This could be considered a bit unfocussed, however she thought that if the main idea becomes clearer then it was very exciting to have a project with so many potential forms. The videos could be reconsidered in respect to what needs to be said in words and what can be said in images. There was also a question of language and whether text would be best received spoken over the images. We discussed the tone of storytelling and considered the addition of a fictive language based around tonal sounds of storytelling. She liked that we worked closely with who and what was at the residency. 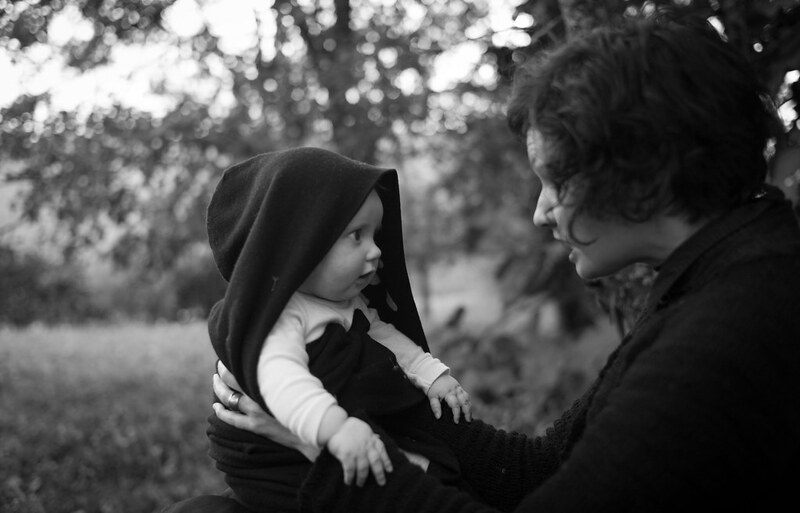 We discussed that my perception about the work I am making has altered since becoming a mother. I might observe and listen differently, carry myself differently and relate to others in new ways, so including my baby in the work was apt, honest and personal. In respect to physical languages, she recommended that I study the gestures of mothers and babies in paintings by Brueghel or Bosch. I spoke about body weather and how there are physical processes to train the dancer/ performer to embody their environment. 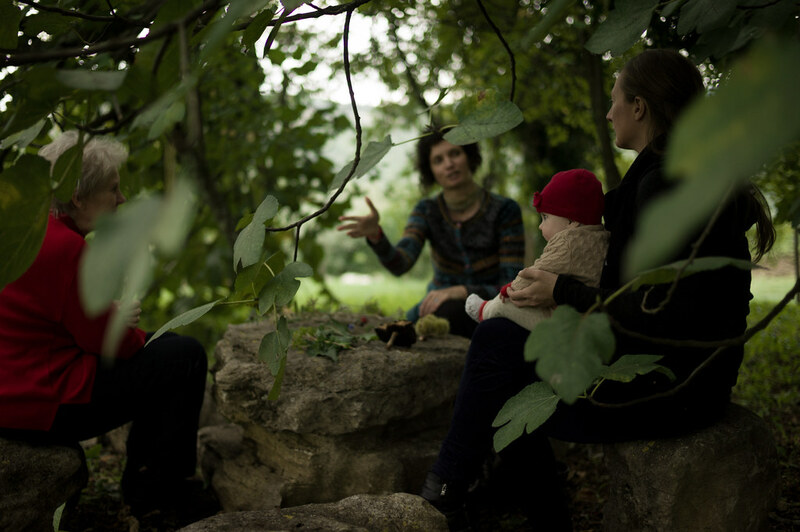 We discussed the potential for theatrical scenarios to develop from the images and proverbs, live art installations and participatory performance or even community workshops could work well with the idea of weather lore. Rasa suggested that I try to clarify several of the potential outcomes as goals and determine the real possibilities of each so that each incarnation is not necessarily a search for one main outcome but rather an individual focus with its own aims and goals. We discussed the weather and atmosphere in Brussels and considered where this work might sit in respect to potential presentation outcomes in the future. The conversation then turned towards the suggestion that my next visit could be to locate presenters and performance opportunities. 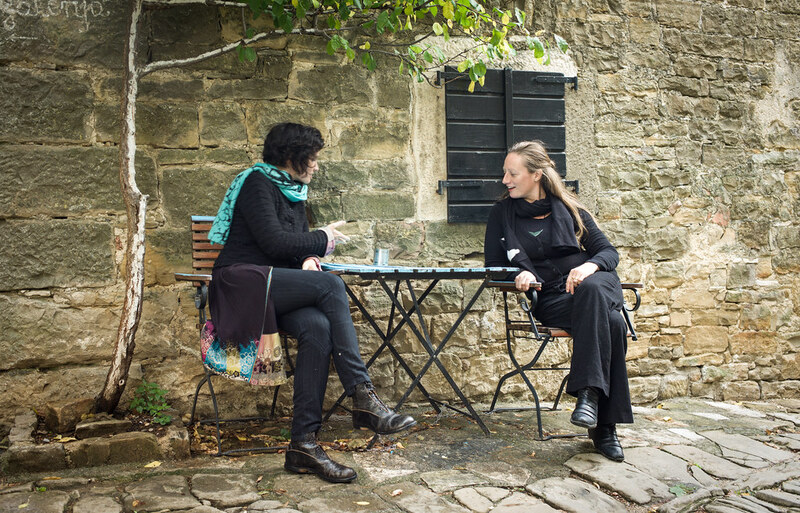 In the beginning of the residency we had a discussion about which natural disasters occur in Istria. We couldn't think of any except bush fires. However, today Maja dug up the Istrian folk tales book in Pula and found another disaster that has been troubling the region for centuries: it seems that hail is the weather phenomenon considered mythical enough to make it into several legends. It is often related to misfortune of young children (especially those who died before being christened, or those strangled by their mothers). Hail and thunder becomes their way of communicating (usually their anger) with the living world. Aside from children, witches and priests are also known to be able to summon very localised and destructive hail storms.